Take a chance to learn the ropes with Splatoon 2's offline single-player campaign mode. Even though Splatoon 2 is primarily focused around the game's signature online-based battles, there's still plenty for Nintendo Switch players to sink their ink into over in the game's single-player campaign. Players making a dive into the Splatoon 2 campaign mode will be able to learn all about the Octarians and the plight of the Zapfish, and that's naturally in addition to mastering the basic skills they'll need to stay competitive in the multiplayer arena. Unlocking the solo campaign in Splatoon 2 only requires a few key actions, and we've got all the information players need to pass the tutorial areas and open up the single-player experience featured below. Players making their first dive in Splatoon 2 will be treated to an introductory tutorial mode that will show off everything available within Inkopolis Square, the game's central hub station. The introduction will introduce players to each of the buildings spread across Inkopolis, as well as the basics on how to move, shoot, dive, and execute other basic in-game mechanics. 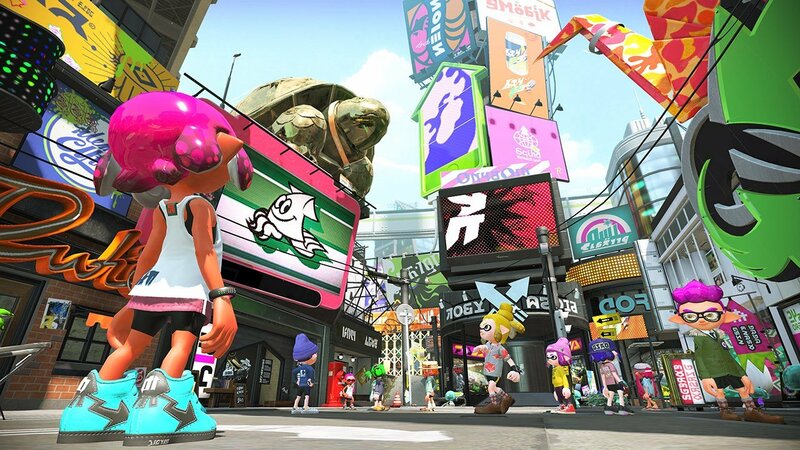 After the tutorial has run its course, players will want to head to the left-hand side of Inkopolis Square and chat up the inkling holding a green umbrella. This will prompt the inkling to morph into a squid and jump down a manhole, and players should follow the inkling down to discover the Tentakeel Outpost. Once arrived, players of the original Splatoon will recognize a character who looks all-too familiar. Without going into any spoilers, we will say that she's well-versed in the lore of the Splatoon universe, and will give players all the information they need concerning Splatoon 2's general plot. After the conversation has concluded, players will see three new open areas. The first area of interest is just beyond the hill around the outpost, and it can be accessed by splattering the entrance with ink. Two additional areas can be accessed through similarly-simple means: the second area can be found just to the right of the first level's entrance, and can be accessed simply by walking up to it; lastly, the third can be opened by destroying the group of boxes and crossing the platform by spraying ink across the gap. Once all of these steps have been completed, the single-player campaign in Splatoon 2 will be totally open to the player, allowing burgeoning inklings to learn or re-learn the essential skills they'll need to bring into the game's action-packed multiplayer battles. Looking for more tips and how-tos for Splatoon 2? We've got all of our top tricks and strategies featured over on our Splatoon 2 guide hub.